This Memorial Day weekend, I took a trip to Block Island, a small island off of Rhode Island. The people are friendly, the location is surreal, and the beers are refreshing. On the way to Block Island, I decided to try some of the local beers. I was on the ferry and getting a little seasick. So I said to myself, why not. 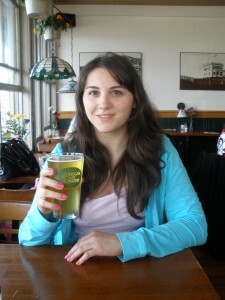 I tried Block Island Blonde Beer first. What can I say? I love this beer! This light lager is refreshing and perfect for the summer. It’s smooth and slightly sweet. The second beer I tried was The Narragansett. This lager was much lighter than the Block Island Blonde. In fact, it is almost too light for my taste. It seemed very watered down. When I got to the island, I toured around on my moped, and then I hit the bars at night. The first place I stopped at was the Albion Pub. This bar draws in an older crowd, but don’t be fooled – you’re guaranteed to have a night of fun. Albion is a decent size bar and the food is not bad (I had Buffalo Wings of course). They have about 10 beers on tap including Loose Cannon, Guinness, Lynx, Magic Hat, Redhook and 20-30 bottled beers. 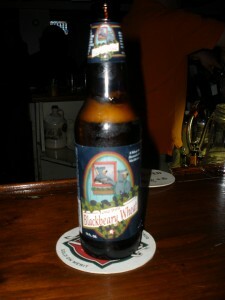 While I was there, I tried Long Trail’s Blackberry Wheat, which was light and refreshing. They did a very good job with adding the blackberry taste to this golden beer. There were also a few rock bands that I checked out at the Albion: The 007’s, Analog and 13 Miles Out. The next day, I had lunch at Mohegan Café & Brewery, a family style restaurant and brewery. I tried two of their beers. The Mohegan Pilsner is slightly hoppy, has no carbonation, and very light. I think this beer would be good for people like me who don’t normally enjoy spicy beers. Their Spring Wheat is stronger with the hops, very malty and is amber colored. I decided to continue my Pub Crawl and made my way to Club Soda. Club Soda isn’t a club, but a very casual bar with amazing food (I recommend their Potato Skins Club Soda has five beers on tap, pool tables, video games and – get this – a live tarantula! I tried Newport Storm Hurricane Amber Ale. 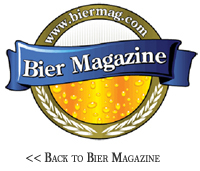 This amber-colored beer is pretty light as far as alcohol content and hops. I also tried Redhook’s ESB, which isn’t a local beer. I really liked this one. This copper-colored ale had a unique blend. The hops are bitter, but the caramel malts are sweet. To finish up the weekend, I went to the hottest bar on Block Island – Captain Nick’s. This place seems to be one of the bigger bars of the island. You can find anyone of any age kicking back a few drinks. They have a variety of drink selection: beers & liquor, and they always have a live band playing. Captain Nick’s also has pool tables, three bars, and a large dance floor. There are still some more bars that I want to hit on Block Island. You can be sure to read about it later this summer.